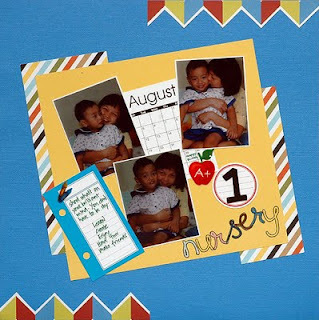 I made this layout for American Crafts Back to School challenge. I love these photos because it was taken on Johanne's 3rd Birthday. Yes, it was his 3rd birthday and I still let him go to school. But we surprise him by going in his school in the afternoon with a cake. Callendar, Notes : Elle Studio.